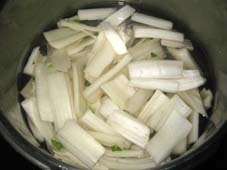 Remove the green and keep the ribs of the swiss chard. Cut the ribs and put them into hot salted water. 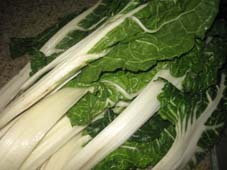 Boil the swiss chard for 10 minutes. 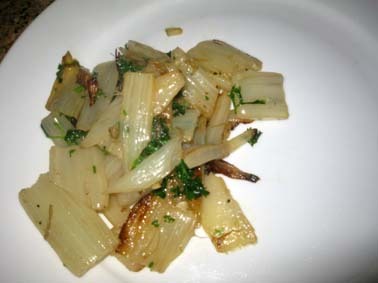 Put the swiss chard in a sauté pan with 2 tablespoons of olive oil. Stir and Caramelize the swiss chard at medim-high heat for ten minutes. 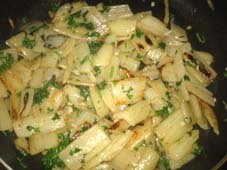 Stir in minced garlic and parsley. Add salt and parsley. After having moved from Paris to the San Francisco Bay area in 2007, I would like to share tips on how to quickly and easily prepare French cuisine, that will surprise and delight your guests. The recipes I give come mostly from my family and from friends in France, or from what I experienced. 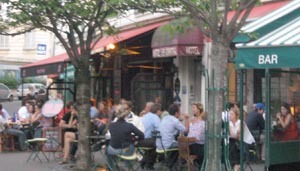 I also share my favorite wines and my secret spots in Paris.